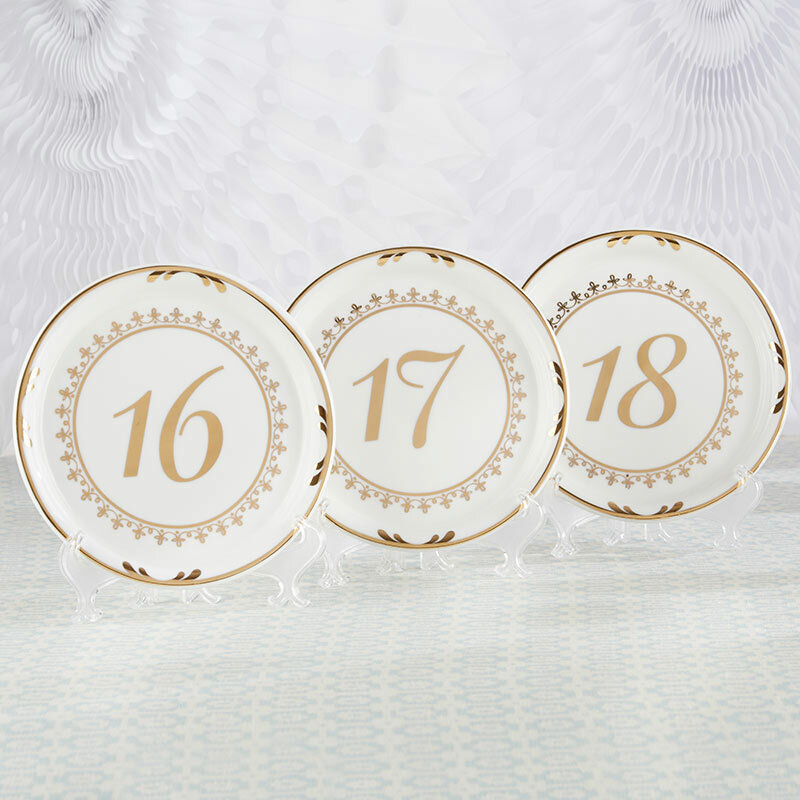 Number your tables and keep your centerpieces looking extra beautiful with our Kate Aspen Tea Time Vintage Plate Table Numbers for your wedding tables 13 to 18! These white and gold vintage plate table numbers features a beautiful gold foil border with the numbers displayed in gold foil in the center of each plate. 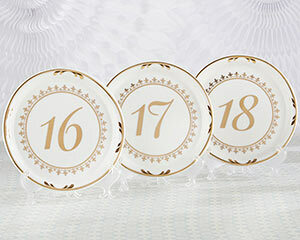 Perfect for your tea party bridal shower, vintage wedding, or ladies luncheon event, these antique-style table number plates will to bring a touch of elegance to your tables.